Here’s the thing. Listening is hard. Yet, listening, or more accurately, active listening is one of the most important skills to learn if you want to have good people skills. And, we make listening harder when most of our communication with others is conducted through a screen. While texting, slacking, emailing, or posting the sad truth is we are only using 7% of our communication arsenal -- words. The bottom line to be a good listener we need to see. 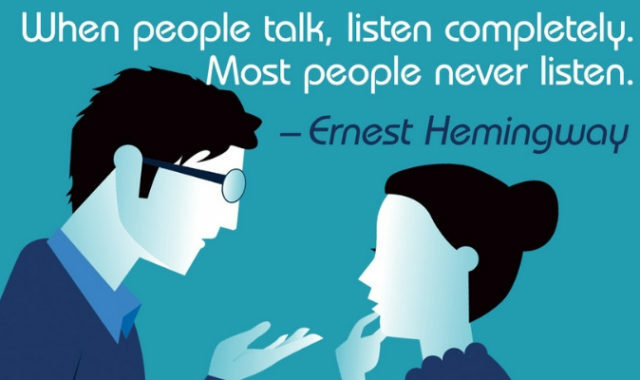 active listening is also one of the most important skills to learn if you want to have good people skills. 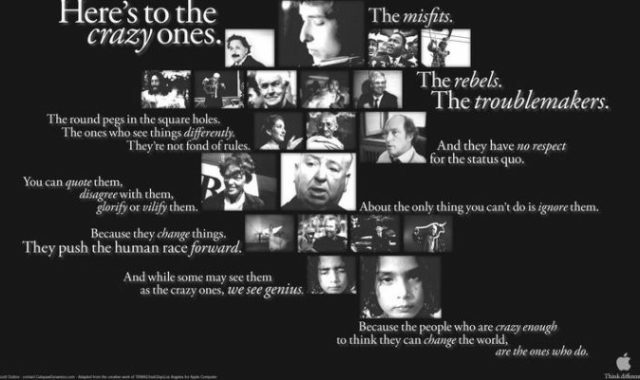 The 1997 Apple Campaign Think Different was a celebration of those who change things and move the human race forward and gave those of us who felt like misfits, hope. For me, the copy launching the campaign reads as a prophecy of the Millennial Generation -- their mindset, behavior, and the societal shifts we are experiencing because of them.